Alaska is known for its pristine waters and vibrant marine ecosystems that support both traditional and commercial harvests. While it is certainly true that the majority of Alaska’s waters are among the cleanest in the nation, the State does not have adequate laws in place to keep them that way. Transboundary mines and increasing development are just two of the future threats to healthy Alaskan watersheds; it is imperative that the State’s water quality standards are high enough to protect the ecosystems residents depend on and the residents themselves from exposure to pollution. Watch the video below produced by Inside Passage Water Keeper to learn more how we can affect the State's laws to protect our fisheries and food sources. Don't have time? Read on below for a summary of the problem and our plan. We Eat Fish! Why Fish Consumption Values Matter from Inside Passage Waterkeeper on Vimeo. Water pollutants under the State’s jurisdiction can bioaccumulate in fish, shellfish, marine mammals, and people, causing direct impacts to human health. The State ostensibly takes bioaccumulation into account in its standards by basing them on an assumed daily Fish Consumption Rate (FCR) as well as numerous other factors such as the acceptable degree of risk, the typical contribution of pollution from sources other than water or aquatic life, and bioaccumulation rates. The ambient water quality criteria based on these factors are used by the State to set minimum levels of water quality when approving waste water discharge permits, contaminated site cleanup levels, mixing zone authorizations, sediment quality standards, and other actions that result in the degradation of water quality. While there are many contributions to the State’s water quality decisions, the fish consumption rate is one of the ones with the most potential variability and greatest possible impact on water quality standards. Unfortunately, Alaska’s ambient water quality criteria for the protection of human health are based on the lowest Fish Consumption Rate allowed by EPA, 6.5 grams/person/day (an amount roughly the size of a small strawberry). The EPA’s absolute minimum already underestimates the true marine resource consumption of residents of U.S. coastal states. That underestimation is compounded in Alaska Native communities, which consume the highest amount of fish per capita in the nation. Alaska’s water quality standards will not protect Alaska Native and rural residents from unsafe exposure to pollutants, nor will they protect the ecosystems that support our customary and traditional hunting and fishing resources. As long as the State assumes residents are eating much less seafood than they actually are, Alaska’s water quality standards will never be as stringent as they should be. 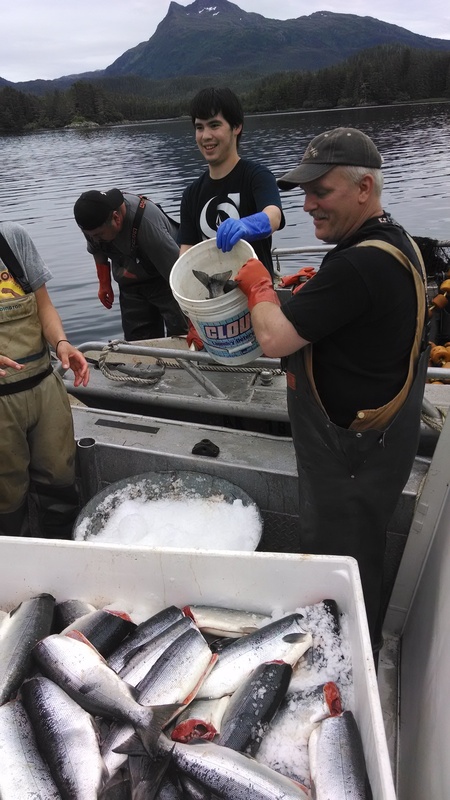 SEATOR Tribal partners are working together to collect necessary data to update the current FCR to better represent Alaska Native consumption of marine food sources. The proposed project collect data on Southeast Alaska Native’s eating habits, food preparation and cooking methods, and preservation techniques of anadromous and resident fish species and other marine foods caught within Southeast Alaska. Traditional are estimated to comprise 40-90% of rural Alaskan diets. A significant portion of that total is fish. Preliminary and previous studies have suggested that a more accurate FCR here would be 240 grams/person/day , but this will be the first contemporary study conducted in Southeast Alaska. Since the Fish Consumption Rate weighs so heavily into the State’s water quality standards, documenting Tribal Citizen’s true seafood consumption habits is one of the most effective ways Tribal Governments can encourage the State to safeguard its aquatic resources. Take action! Find out what you can do to help. Read the EPA's fact sheet on Ambient Water Quality Criteria! Note that the EPA's default FCR is now 22 grams/day and that they recommend that states use local data before defaulting to the EPA's rate.